Higher Grounds Music Festival and House of Holistics present “The Harvest,” a multi-band hip-hop and reggae festival at Pozo Saloon (doors at noon; all ages; $35 to $125 available at pozosaloon.com). 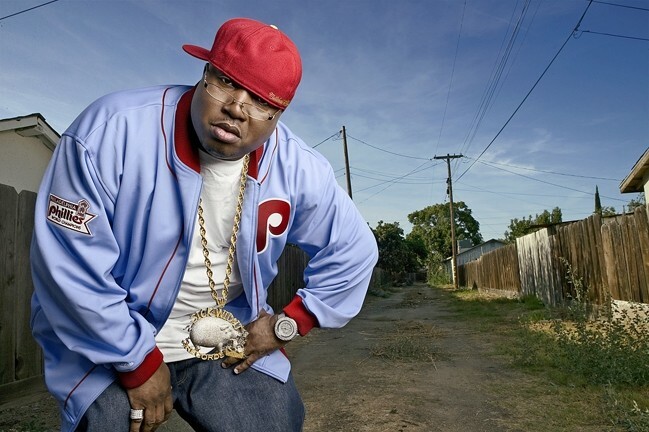 OLD SKOOL: Bay Area rapper E-40 is one of eight hip-hop and reggae artists to play the Pozo Saloon’s Harvest Festival on Oct. 16. The lineup is pretty stellar! You’re not going to let a chance of showers keep you from digging the sounds of Logic, E-40, Tribal Seeds, DJ Quik, Casey Veggies, Tomorrows Bad Seeds, SLO White, and Charlo Bates, are you? Logic, the Maryland-based 26-year-old producer and rapper, got his start in 2009 with the release of Young, Broke & Infamous, a mixed tape that led to his being signed to Visionary Music Group. After a few more mixed tapes, Def Jam Recordings brought him into the studio to record Under Pressure in 2014, his first solo album. His follow-up, 2015’s The Incredible True Story, garnered critical praise and charting on Billboard. Flamboyant Bay Area rapper E-40 is a real DIY success story, growing a regional fan base into a national one and using his homegrown record label, Sick Wid’ It Records, to grow the East Bay rap scene. Tribal Seeds—a San Diego-based group heavily influenced by Bob Marley, Steel Pulse, and Midnite—bring their rock and reggae vibe to the festival. Led by brothers Steven Rene and Tony-Ray Jacobo, the group delivers spiritually driven, socially conscious lyrics and deep grooves. DJ Quik, a premier West Coast gangsta rap artist in the ’90s, got his start releasing mixed tapes in Compton in the ’80s. He ended up on Arista Records, where several of his albums reached gold sales. He’s also a prolific producer, working with artists such as 2nd II and Hi-C.
Casey Veggies, now 23, realized his rap dreams while playing shooting guard for Inglewood High School’s Sentinels. In ninth grade, he started writing songs and releasing mixed tapes, which led to positive feedback, which shifted his focus from hoop dreams to rap dreams. Tomorrows Bad Seeds out of Hermosa Beach is touring in support of their new single “War Letter,” a tribute to our military troops and the heartache they endure being away from loved ones while stationed overseas. 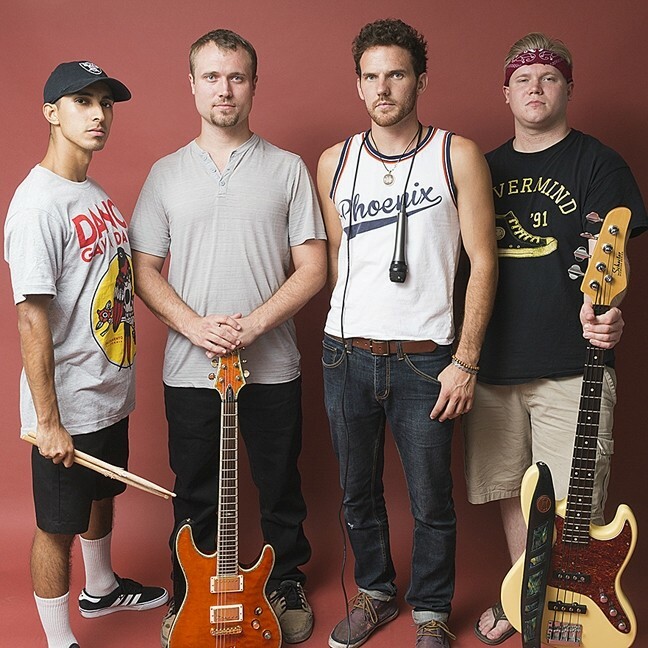 The band mixes rock-pop, punk-reggae, and hip-hop. Local rapper SLO White and young emcee Charlo Bates will open the show. Good Medicine Presents has loaded up a fat week of live music, including one day when they’re hosting four concerts almost simultaneously! Good grief! JUMP & SWING: Retro jump blues and swing act Big Bad Voodoo Daddy plays Tooth & Nail Winery on Oct. 13. 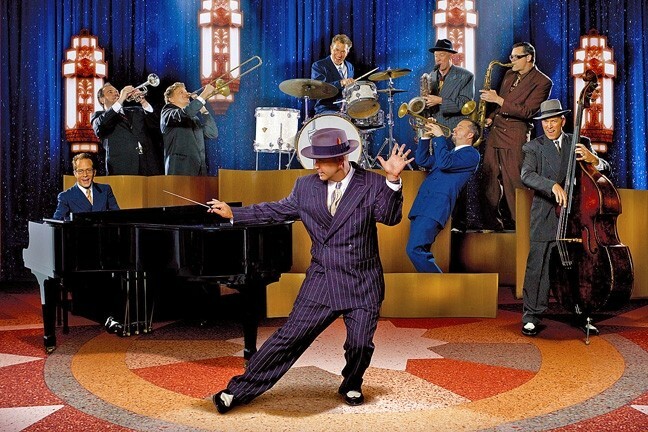 It all starts when Big Bad Voodoo Daddy plays Tooth & Nail Winery this Thursday, Oct. 13 (6:30 p.m.; 21-and-older; $35 presale at ticketfly.com or $40 at the door). 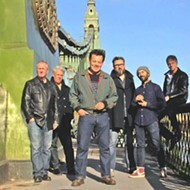 This is the band’s 24th anniversary year, and they’ve toured continuously, playing around 150 shows a year of their retro jump blues and swing music. If you like Louis Jordan, Louis Prima, and LaVern Baker, this is right up your alley. This is a band that right in the middle of the grunge era proved it’s cool to swing! Everyone’s talking about the Drive-By Truckers at the Fremont Theater this Friday, Oct. 14 (7 p.m.; all ages; $26 presale at ticketfly.com or $30 at the door). 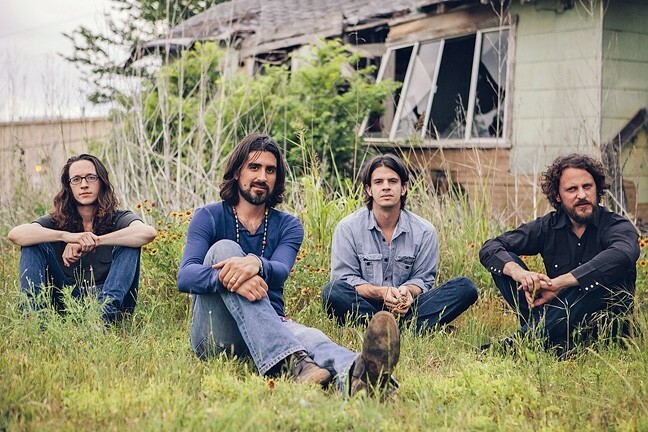 The alt-country and Southern rock act just released American Band, their studio 11th album, which once again spins out engaging narrative songs exploring the American experience. Their first single, “What it Means,” looks at recent events: “He was running down the street/ When they shot him in his tracks/ About the only thing agreed upon/ Is he ain’t coming back/ There won’t be any trial/ So the air it won’t be cleared/ There’s just two sides calling names/ Out of anger out of fear/ If you say it wasn’t racial/ When they shot him in his tracks/ Well I guess that means that you ain’t black/ It means that you ain’t black/ I mean Barack Obama won/ And you can choose where to eat/ But you don’t see too many white kids lying/ Bleeding on the street.” Potent stuff! Lydia Loveless opens. DINNER AND A SHOW: Band of Heathens plays a very special dinner and concert event on Oct. 15, at Treana Tasting Cellars with a catered dinner by Chef Jeff Wiesinger. Also on Friday, Oct. 14, Good Medicine brings Vaud & the Villains to Tooth & Nail Winery (6:30 p.m.; 21-and-older; $23 presale at ticketfly.com or $25 at the door). The 19-piece, 1930s-style New Orleans orchestra and cabaret delivers jazz, R&B, gospel, and rock ’n’ roll. This is a band that’s been a fixture with circus troupe Cirque Berzerk and LA’s quirky downtown Edison nightclub. The really big day, however, is Saturday, Oct. 15, when Good Medicine slipped four concerts in their music cannon and plans to fire them off almost all at once. The day begins with another free beach concert at Cayucos with rowdy Southwestern-tinged string band The Brothers Comatose, the harmony vocal sounds of The T-Sisters, and the Texas soul of Joe Koenig & The Homewreckers (noon to 5 p.m.; all ages; free). Also on Saturday, Oct. 15, check out the ’80s party with Strange Love—The Ultimate Depeche Mode Tribute; and Electric Duke—a Tribute to David Bowie at Tooth & Nail Winery (6:30 p.m.; 21-and-older; $20 presale at ticketfly.com or $25 at the door). Expect unparalleled theatrical stage production, with multiple projection visual programs assaulting your senses into a euphoric ’80s trance! 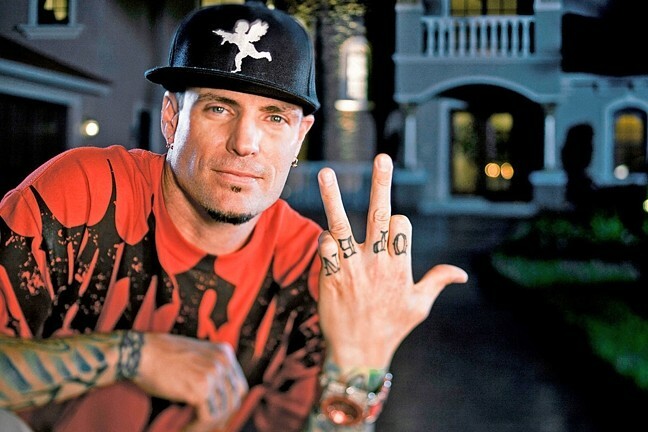 STILL ICY : Vanilla Ice is one of several ’90s stars to play I Love the ’90s, on Oct. 16, at Vina Robles Amphitheatre. And yes, also on Saturday, Oct. 15, Good Medicine & Numbskull present Wild Nothing at Sweet Springs Saloon (8 p.m.; 21-and-older; $13 presale at ticketfly.com or $15 at the door). Fronted by Jack Tatum of Jack and the Whale and Facepaint, he’s turned his attention to shimmering, synth-infused pop dreamscapes. And finally, one more on Saturday, Oct. 15, when Good Medicine invites you to class it up with Band of Heathens playing a dinner concert at Treana Tasting Cellars (doors and dinner at 6 p.m., show at 7; all ages; $60 presale or $65 at the door). Enjoy two sets of live music with a catered dinner by Chef Jeff Wiesinger of Jeffrey’s Catering, who’ll present his very own Paso Wine Country BBQ: “prime grade smoked beer tri-tip with zinfandel BBQ sauce, citrus herb marinated chicken with Mediterranean heirloom tomato salsa, roasted baby potatoes with black truffle salts and local olive oil, vegetable melody of zucchini & peppers, local sourdough bread, and locally sourced baby greens salad with Paso vinaigrette. During the intermission, enjoy Jeff’s signature zinfandel chocolate brownies with local berries and brown Marnier whipped cream.” Yes, please! The season is winding down at Vina Robles Amphitheatre, but they’ve got a few more shows under their belts, including the I Love the ’90s Tour this Sunday, Oct. 16 (7 p.m.; all ages; $60 to $100 at vinaroblesamphitheatre.com). Expect a nostalgic night of your favorite hip-hop and R&B hits from the likes of Vanilla Ice, Kid ‘N Play, Color Me Badd, All-4-One, Tone Loc, and Young MC. Hear “Ice Ice Baby,” “Ain’t Gonna Hurt Nobody,” “I Swear,” and more! Is it too soon? You be the judge! BOSS OF THE HOT SAUCE: The SLO Jazz Festival’s 2016 Fall Fest continues on Oct. 15, when Zydeco Flames plays Templeton’s Wild Horse Winery. SLO Brew has Johnny Cash Tribute act Cash’d Out playing this Thursday, Oct. 13 (8:30 p.m.; 18-and-older; $12 general or $30 VIP). If you like early Johnny Cash, these guys do him right! Blockhead and Lusince hit the Brew on Friday, Oct. 14 (9 p.m.; 18-and-older; $15 general or $20 VIP). Hopefully they’ll clear some tables for these two dance and electronic acts music producers. The SLO Jazz Festival’s 2016 Fall Fest continues this Saturday, Oct. 15, with a show by Zydeco Flames at Wild Horse Winery in Templeton (6 p.m.; all ages; $30 general admission at 2016fallfest.com). 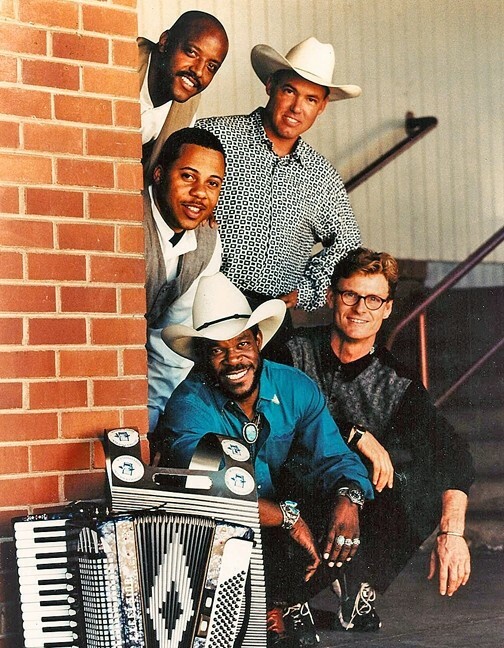 This is the West Coast’s premiere Zydeco band, that delivers feel-good Louisiana Bayou sounds played on washboard and accordion. Visit the Fall Fest site for future concerts and ticket details. The Alta Music Festival comes to the Avila Beach Resort this Saturday, Oct. 15 (gates at 1 p.m., show at 2; all ages; $53 general admission or $122 for VIP balcony at altamusicfestival.com). Santa Barbara reggae act Iration, whose current single “Hotting Up” is catching a lot of radio play, will headline the show, which also features American-Bermudian reggae artist Collie Buddz, world music collective Nahko and Medicine for the People, Unified Highway featuring Rebelution vocalist/guitarist Eric Rachmany and renowned producer Amp Live (formerly of Zion I), and the Jack Johnson-esque folk-hip-hop-reggae act Wheeland Brothers. 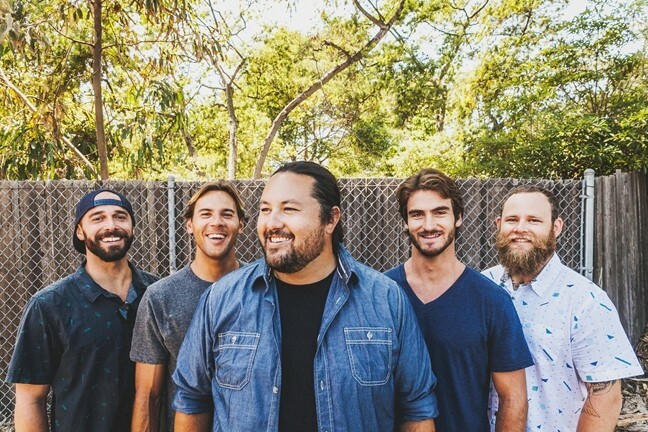 HGIH TIMES: The Alta Music Festival comes to the Avila Beach Resort on Oct. 15, with Santa Barbara reggae act Iration headlining the five-act fest. 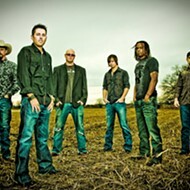 Arizona-based Sunset Voodoo plays Frog and Peach this Thursday, Oct. 13 (10 p.m.; 21-and-older; free). “We’ll be promoting a new single entitled ‘Got Me Bad,’ available on Spotify and Apple Music,” frontman Joey Gutos said. 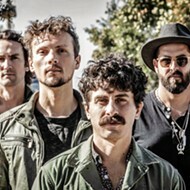 He describes the band’s sound as “tribal alt/rock blending exotic and danceable rhythms with passionate and melodic hooks to spark feel-good vibes.” Think Red Hot Chili Peppers and Incubus. RastaLand will bring their soulful roots and rock reggae to Frog and Peach on Friday, Oct. 14 (10 p.m.; 21-and-older; free). This new act features local music luminaries such as Allison Rice, Pat Pearson, Vance Fahie, Matt Reeder, and Zac Cornejo. TRIBAL ROCK: On their first trip through SLO Town, Arizona tribal rock act Sunset Voodoo plays Frog and Peach on Oct. 13. Cuesta Choirs present the Fall Festival of Choirs at the Cuesta CPAC on Saturday, Oct. 15 (7:30 p.m.; all ages; $15 general admission at cpactickets.cuesta.edu). Featuring Cuesta Voce, the Chamber Singers, and the Concert Choir with special guest jazz artist David Scott (a master jazz singer and improviser from the Berklee School of Music in Boston), this promises to be a stirring evening of vocal jazz. 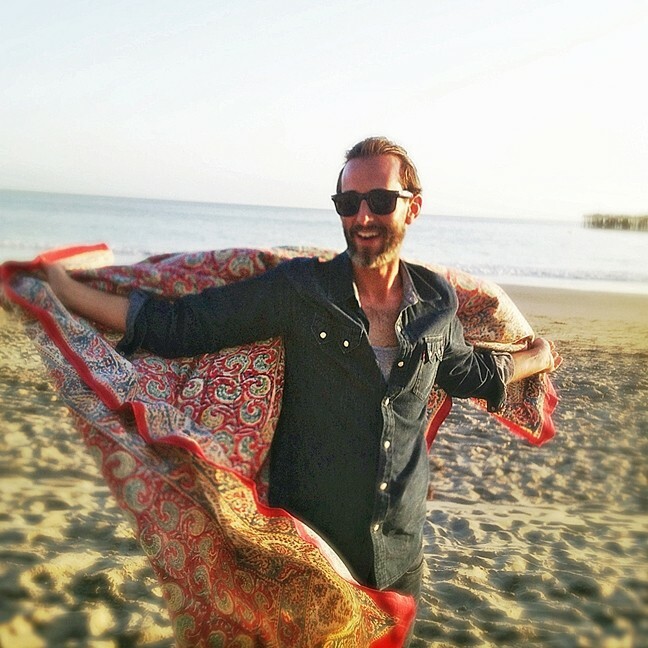 WEDDED BLISS: Newly married crooner Jody Mulgrew brings his award-winning music to the Steynberg Gallery on Oct. 15. 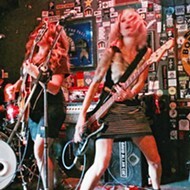 San Francisco rockers Hungry Skinny play the Frog and Peach on Wednesday, Oct. 19 (10 p.m.; 21-and-older; free). 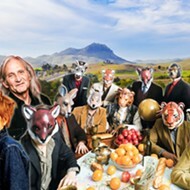 This is the band’s first show of their Fall 2016 tour that will take them through Southern California and into Nevada, Utah, Idaho, Oregon, and Washington. “It’s our first time playing in San Luis Obispo,” the band noted.